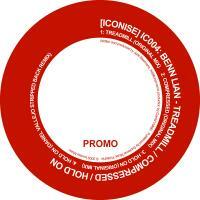 Following on from the success of Benn Lian's remix of Contour, we bring you his debut EP on Iconise. Daniel Vallejo who brings a stripped back remix of 'Hold On' as an additional bonus to the package that is in stark contrast to Benn's original. With a hectic release schedule planned for 2009 this is an excellent start to the year by the label and a perfect follow up to the critically acclaimed debut releases of 2008. 'Treadmill / Compressed / Hold On' is available now from Beatport and iTunes.